The jet suddenly dips. Ding! The little seatbelt light comes on. The flight attendant’s voice lilts, “The Captain has turned on the fasten seat belts sign….” Rough flights, we’ve all been there. It’s a relief to be on the ground after one of those. Any landing that doesn’t end in a massive fireball always makes me think about how happy I am to have a good pilot at the yoke. Clean Agent: An electrically nonconducting, volatile, or gaseous fire extinguishant that does not leave a residue upon evaporation. Halocarbon Agent: An agent that contains as primary components one or more organic compounds containing one or more of the elements fluorine, chlorine, bromine, or iodine. Examples: FM-200, FE-25 (ECARO-25), and Novec 1230. Inert Gas Agent: An agent that contains as primary components one or more of the gases helium, neon, argon, or nitrogen. 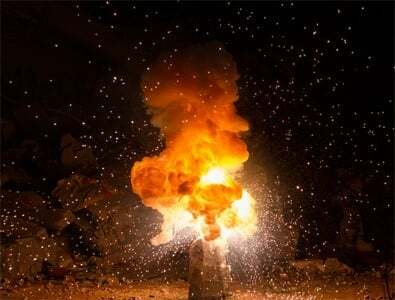 Inert gas agents that are blends of gases can also contain carbon dioxide as a secondary component. Examples: Argonite, Inergen, and ProInert. So besides the lavatory smoke detectors, how else do aviation and fire protection mix? Often they meet in commercial flight simulators used to keep pilots’ skills sharp. Flight simulators are large pieces of equipment typically the size of a jetliner nosecone. Computers, controls, hydraulic cylinders, and other mechanisms make up these complex, costly machines. 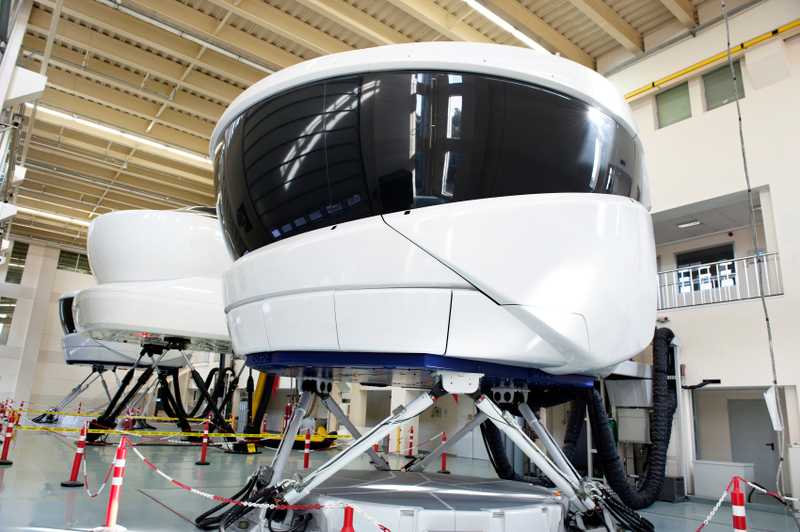 Simulators are critical to the mission of corporate aviation programs. They are property worth protecting with the best extinguishing systems, clean agents. Simulators also present a special challenge in applying clean agent systems because they are leaky spaces with low ceilings. They are loaded with external equipment attachments, removable access panels, and maintenance doors. Normally, preparing a room for clean agents requires proper design, construction, and a room integrity test where leaks are found and sealed. These rooms must be able to ensure retention of the clean agent for a sufficient time to extinguish the fire. When a system is installed for protection of a simulator, it undergoes a room integrity test like any other protected space. The physical construction of a simulator makes agent retention challenging, so selecting the right fire suppression agent is crucial. Generally during a standard fire suppression system discharge, the agent fills the space like water poured into a bucket. If the room has leaks (holes in the bucket), the gas seeps out in proportion to the area of the leaks. Additionally, the weight of the gas contributes to the speed of the outflow. Excluding Nitrogen gas, all clean agents are heavier than air. Halocarbons are the heaviest agents. The weight of inert gas agents like Fike Pro-Inert, Fenwal Argonite or Ansul Inergen more closely approximate normal air and evacuate slower than halocarbon agents. As you can see in the example below, the calculated retention time for Inergen (inert gas agent) is longer than FM-200 (halocarbon agent), given the same area of leakage. This is why inert gasses are a good choice for flight simulators. When a space cannot be sealed properly the properties of inert gas clean agents can ensure an acceptable retention time. While there is a limit to the size of leaks that they can overcome, inert gasses exhibit retention time advantages in many cases when compared to halocarbons. Don’t forget some other reasons to choose inert gas agents: zero negative environmental impact, maximum visibility for occupants during egress, and small pipe sizes. If you have an application that you know is leaky but will require high-performance fire suppression, like a flight simulator, contact one of ORR’s fire protection experts today!